Sick of awkwardly holding down the power button and volume buttons to restart your Android phone or tablet? Quick Boot wants to help. 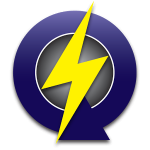 Quick Boot lets you easily reboot your device, power off your device, or boot your device into recovery or bootloader mode with just a single tap. It’s a lifesaver for rooted Android users who need to frequently restart their devices. 100 Quick Boot (Reboot) Got Score 5.00/5. Quick Boot was created by an Android app developer named Apportunity GH. This developer has released about a dozen apps on the Play Store, including games like Rock Climber and tools like Free WiFi Password. Quick Boot currently has a rating of 4.2 stars out of 5 with a total of 20,212 reviews. The app has been downloaded between 1 million and 5 million times. How Much Does Quick Boot Cost? Quick Boot is free to download and use. The developer doesn’t mention donations anywhere. The Play Store listing, however, does provide an email address where users can contact the developer. The developer also encourages users to give the app 5 stars if they enjoy it. You can also buy the premium version of Quick Boot Plus from the Google Play Store for $1.99. The only advantage of the premium version is being able to “Hot Boot”, which exclusively reboots the Android UI. You can also connect Quick Boot to Tasker. What Does Quick Boot Do? Quick Boot works in a very straightforward way. You open the app and can boot into Recovery and Bootloader with just a single tap. There are also two more “standard” options, including Reboot and Power Off. It only works on rooted device because superuser permissions are required for any app which restarts your system. So instead of having to awkwardly hold your hand in weird positions to enter Recovery or Bootloader, you can simply open Quick Boot and tap. That’s it. Quick Boot comes in two versions: the free version and the premium version, which costs $1.99. Whether you need one of those two exclusive features or you just want to support the developers, you can download the premium version of Quick Boot from here. Don’t be alarmed when you see that the premium version of Quick Boot hasn’t been updated since 2010: the premium version is actually just a key you get. You enter that key into the regular Quick Boot app to instantly upgrade. Conclusion: Should You Install Quick Boot? Quick Boot is a popular and effective Android app which is specially designed to perform just one or two main tasks: it reboots your device into Recovery or Bootloader with a single tap. That’s it. It does that job really well. You can buy the premium version, although most people will only do so to support the developers. Most rooted Android users need to reboot their device a lot: you reboot it when you’re installing a ROM, troubleshooting, or just messing around with it. If your fingers are sore from awkwardly holding the Android buttons in different places as you restart, then Quick Boot is a must-download.